Children and young people’s nurses are encouraged to consider how best to incorporate the 6Cs of nursing when developing their skills in the delivery of family-centred care and shared clinical decision-making (DH, 2012). Overall aim is to ensure patient safety, therefore open and timely communication is vital, provided in a way that can be understood. However this will involve appropriate listening skills, in order to support families to have a voice and be in control of their well-being. It is a natural process that must be treated as a scientific activity to meet people’s requirements. Fundamental part of nursing, inescapable component, which can be very complex. A multi-disciplinary team approach is essential when considering decision-making process. Nurses must be able to respond to the complexity of a modern society with all of its demands. Additionally, healthcare professionals must help children and young people to make decisions about their care based on best practice and the most up-to-date evidence should also be considered, alongside the patient’s lifestyle and be mindful of language and literacy barriers, which may affect the decision-making process. Unplanned – throughout day nurse will use her intuition and observational skills to follow through solutions to problem. Emergency – spur of moment decisions, so nurse must have knowledge and skills to intervene. ‘involve patients, service users, their families and carers in making decisions and enable informed choices about treatment and care’. However if children and their families are not fully informed of all their options then they will have difficulty making informed decisions. Young people with a learning disability often do not feel involved and informed in making choices which are often limited and it can be difficult to ensure their voice is heard, particularly if they should have communication impairment or a life-threatening condition (Cameron and Murphy, 2002; RCPCH, 2014). A young person’s stage of development may also significantly affect his or her ability to make decisions. Treatments - enteral feeding tubes; kidney dialysis; mechanical ventilation; hospice care. Choices – chemotherapy; organ donation; burial and funeral arrangements. Nevertheless, children’s nurses must work in partnership with the child and family and remember that parents and carers have expert knowledge and understanding about their child’s care, which is often based around family values and the fact that parents and guardians have a legal responsibility to consent or refuse treatment for their child if they so decide. Other factors that will influence nursing judgements are ethical and professional issues. The concept of reflective practice and decision-making are inextricably linked therefore children and young people’s nurses have an obligation to promote best practice, so we must strive to draw children and young people into decision making processes, to ensure their views and those of their family are heard thus making ‘shared decision a reality’. 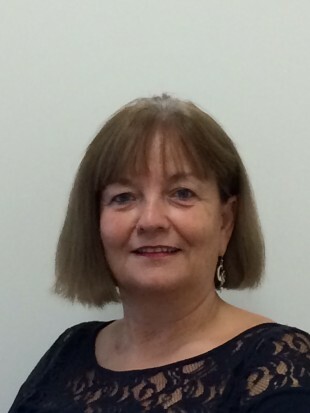 Author Bio: Doris Corkin, Senior Lecturer (education), School of Nursing & Midwifery, Queen’s University Belfast. RCN C&YP Specialist Care Forum steering committee member.